Happy April! Here is this month’s sketch challenge. To those of you new to the challenge, you do not need to use a Scrapbook Circle kit to play along (of course, we love it when you do, though). Two of our fab creative gals have already played along. Here are their pages to inspire you to get creative. This month’s prize is an Authentique prize pack, including art prints. 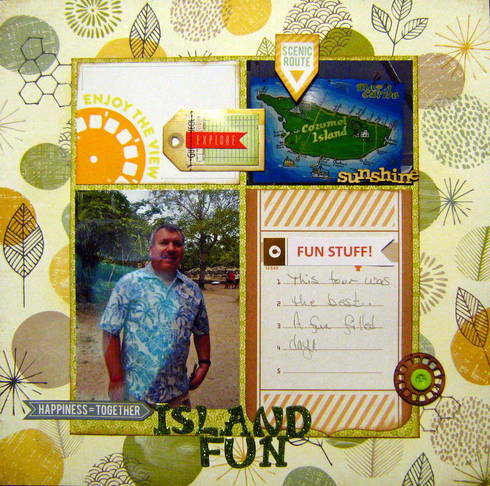 Share your layout that uses this month’s sketch either here in the comments section of this blog post, or on the Scrapbook Circle Facebook page. One lucky winner who shares their page with us before April 22nd will receive this prize pack. This was a great sketch! Thank you. Love this sketch and the inspiration. Here is the link to mine. I liked this sketch, as I am not comfortable with white space and straight lines!